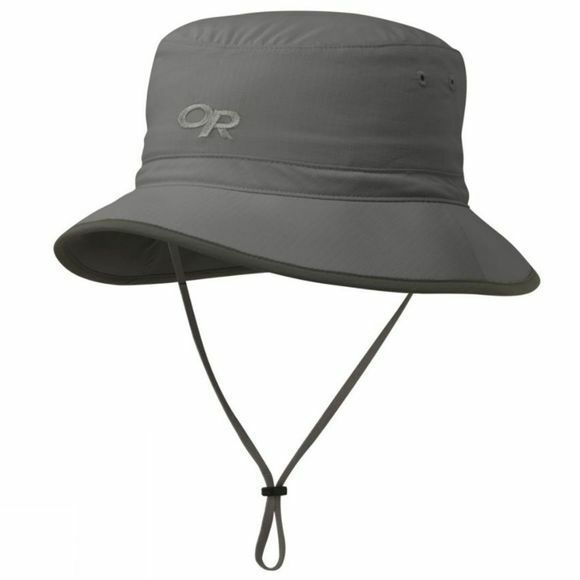 The Sun Bucket Hat from Outdoor Research offers the great sun protection you have come to expect from Outdoor Research. With a shorter brim and adjustable drawcord, it will stay snug even in windier conditions. Made from breathable and quick-drying fabric, it will keep you feeling comfortable and dry when you are out enjoying the sun.